On May 25, 2018, LT Adelaida M. Rosario, Ph.D., NIMHD program officer in Community Health and Population Sciences in the Division of Scientific Programs, was inducted into the Commissioned Corps of the U.S. Public Health Service (USPHS), a team of more than 6,500 health professionals who support care to underserved and vulnerable populations across the nation. LT Rosario completed the 2-week Officer Basic Course and served as the class speaker at the graduation of 23 new officers. During the training, she learned in detail about the structure and history of the U.S. Department of Health and Human Services, as well as the processes and protocols for deployment within the Commissioned Corps of the USPHS. “The combination of being able to continue my NIMHD position and do groundwork in the service—see faces in the community—attracted me most to the Public Health Service,” says LT Rosario. “Being a part of the most distinct national effort to improve public health,” she says, also drew her toward the USPHS. LT Rosario visited Guam with the thought that she might relocate there while discovering her roots and identity. “[In] a different place with different values and norms—an altogether different environment—I had to deconstruct my identity,” says LT Rosario, reflecting on her time studying and serving as a social worker in Guam. The process of understanding where she came from involved learning more about what it means to be a Pacific Islander, learning local idioms, appreciating the culture and values—and then trying to reconcile everything with what she knew about herself as a Cuban American who grew up in Miami. “[Witnessing] the public health situation [in Guam] was enough of a catalyst for me to keep pursuing graduate school,” says LT Rosario, who completed a master’s program in Micronesian studies at the University of Guam. Two of her aunts in Guam were diagnosed with late-stage cancer, leading LT Rosario to focus her master’s thesis on examining how cultural values influence women’s health care. She learned about NIMHD while completing her Ph.D. at the Center for Research on U.S. Latino HIV/AIDS and Drug Abuse at FIU. LT Rosario earned her Ph.D. in social welfare from FIU, where she studied the psychosocial effects that Santería, an indigenous religion, had on Latina women with cancer who practiced it. “Pursuing the Ph.D. is what introduced me to the federal world, the machine that is research, the relation between [NIH] funding bodies and extramural research,” says LT Rosario. During the last year of her doctoral studies, she started her career as a health specialist at NIMHD. “I was geared towards NIMHD, because it was geared towards what I do,” she says. At NIMHD, LT Rosario noticed people in uniforms. For the first time, she learned about the USPHS from her co-workers already in the service, Xinzhi Zhang, M.D., Ph.D.; DeLoris Hunter, Ph.D.; and Nathaniel Stinson, M.D., Ph.D. These co-workers became her mentors, and she decided to pursue joining the service too. Preparing for the USPHS took dedication and persistence. “The process is challenging, long, tedious, and filled with paperwork,” says LT Rosario. Officers must also pass a physical exam that involves running, push-ups, and an evaluation of core strength and flexibility. In preparation for the exam, LT Rosario participated in NIH’s 2017 “New Year! New You! Fitness and Wellbeing Challenge,” an 8-week challenge to adopt healthier lifestyle habits. 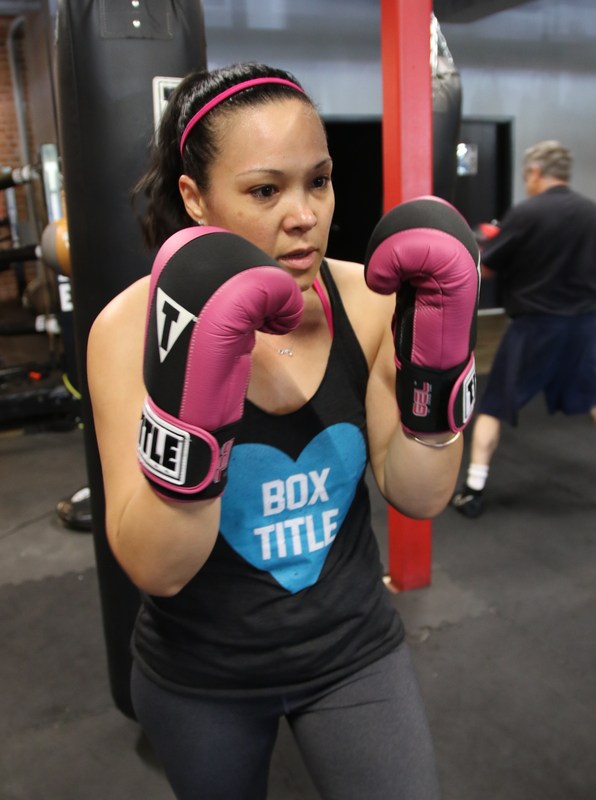 She also took up boxing. The 2-week officer basic training itself is rigorous. Each day starts at 6 a.m., and the trainees must absorb an influx of information on the service categories, deployment, and protocols. “You have to be patient, be focused, and commit,” says LT Rosario. 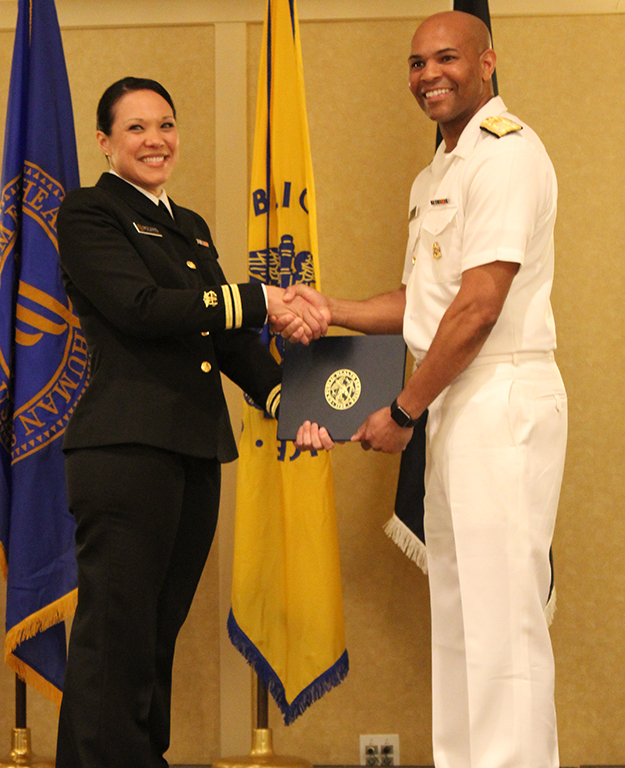 LT Rosario continues to serve as a scientific programs officer at NIMHD while taking on a new set of responsibilities in the USPHS. She holds multiple leadership positions with USPHS committees and programs to contribute to promoting health in U.S. populations. As a USPHS officer, it is also her duty to deploy as needed for disaster-related events and participate in managing the health and medical components of the aftermath of those events. She is in the Scientist Category, one of 11 professional categories in the USPHS. Now at NIMHD for 4 years and a single mother of an 8-year-old daughter, LT Rosario calls NIMHD her “family,” who has supported her career and personal growth. Work–life demands are sometimes difficult, but she still manages to balance the responsibilities. LT Rosario says that she sees herself retiring in the USPHS and looks forward to holding different positions throughout her career there while building her skills as a leader.